When travel is stressful, a great hotel can gently help harried and weary souls relax. Thoughtful design goes a long way towards making travelers feel comfortable, and it starts right at the front door. Kellie Sirna, founder and principal of design firm Studio 11, said she likes to evoke that “home away from home experience” as soon as guests step into the lobby. 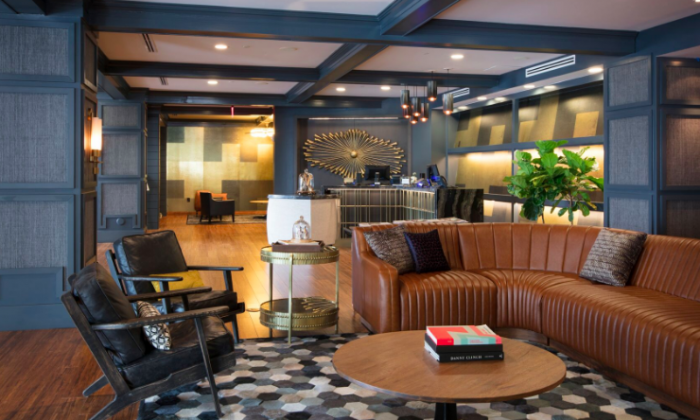 Dallas-based firm Studio 11, which recently expanded its presence with a New York City office, has designed hospitality projects globally. One project that has been much-talked about is Nashville’s Hutton Hotel, a frequent hangout for stars and musicians. There, Studio 11 made a point of designing communal areas in the lobby where guests can socialize or wind down in subtly divided zones, with soft leather sofas that invite lounging and relaxing, and a music library that begs exploration. And just like a home has areas meant for either more active or passive living, Sirna recreates those options when working on a hotel project. “We create both energetic and quiet zones so the guest can pick, depending on their mood or itinerary for that day,” she said. At the same time, the separation is balanced with blurred lines between areas, often between the food and beverage venue and the lobby area, for example. “Bringing the kitchen or coffee shop into the lobby space really supports the guests’ needs, whether it’s a late-night arrival or that cup of much needed morning coffee before the big meeting,” Sirna added. 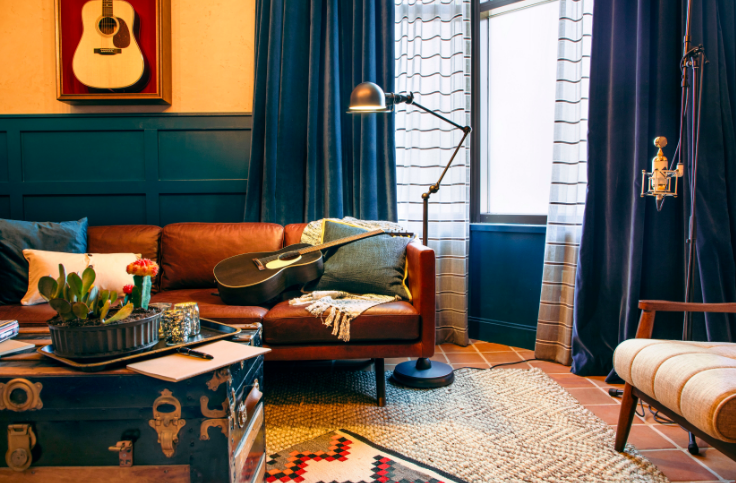 With a musical clientele in mind, creative spaces were integrated right into the hotel, with not only a state-of-the-art 5,000-square foot music venue, but also two Writers Studios to make artists feel at home—as well as inspired. The concept for the Writers Studios came from country music star Dierks Bentley and Ryan Tedder of the band OneRepublic. The West Studio has a cozy retro Southwestern feel and is outfitted with Martin guitars, as well as a soundproof booth for recording. 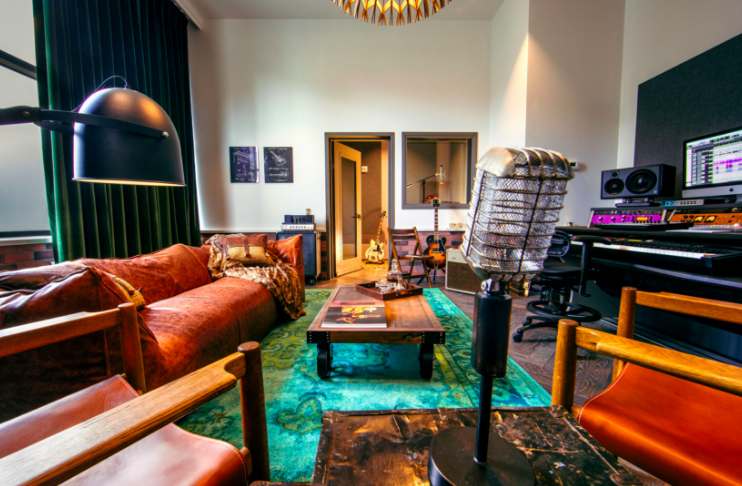 The East Studio also has a recording booth, Gibson guitars, and a leather couch and chairs—with an open invitation to write on the couch or the floor, as guests please. With the hotel’s emphasis on music and creativity, the design was focused. But for Sirna and her team, every project is different, and inspiration comes from various areas.